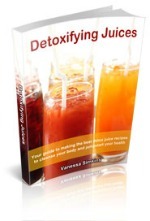 I am SO excited to announce that my new book, Detoxifying Juices, was released in January. It's had a great response so far and I wanted to extend a "thank you" to everyone who's sent me comments. My goal was to truly help anyone with my experience with cleansing juices, so I hope it does just that. If you want to know more about it, the book includes 30 really effective detox juice recipes, along with key produce for juicing and bonuses to help you with a structured detox plan. It's currently at a special introductory price. For some reason, Vitamix has been running some great limited time offers lately. They had one in early Feburary that gave away a chocolate bliss package, and they still have one where you get a free cookbook from raw food chef Ani Phyo (Raw food essentials) or Kimberly Snyder (The beauty detox solution). This is a good juicing book with about 150 detailed recipes that include nutritonal information plus other useful info. The author is a highly regarded MD. It's a good one! You can get this for a good deal through Amazon (link below). 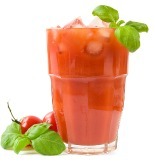 This cleansing recipe was taken from my book, Detoxifying Juices. Cut the cucumber and lemon to fit into your juicers feed chute. Feed the carrots through the juicer. Roll the dandelion leaves into a cylinder and feed into the juicer along with the cucumber and lemon. Side note: Dandelion is such a strong juice, but packs a powerful punch. Mix it with the carrots, cucumber and lemon in this recipe and it’s pretty yummy! A little goes a long way! Do you have a good juice recipe? If you have a juicing recipe to share, please do. I created a page so that everyone can submit thier recipes directly on the site. I want it to be a community site where everyone can share! Q: My juicer leaves a ton of pulp in my juice...Yuck...Is that normal or does my juicer just not work well? A: Hi! Well, a good juicer does not leave pulp in the juice. A good juicer also does not discard pulp that is wet. Pulp should be fairly dry when it's ejected into the pulp basket. My guess would be that your juicer does not work well. It could possibly be broken, missing a piece (some have a catch screen) or the juicer is not of good quality. Which juicer do you have? If you don't like pulply juices, I'd suggest the Omega Vert Juicer, Green Star, or the Jay Kordich Power Grind Pro. These all produce juicy-pulp free juice with dry pulp. Do you have questions related to juicing? Keep juicing my juice lovers! All Rights Reserved. Content Protected By DMCA. This website is not intended to substitute for medical advice, and has not been evaluated by the FDA or AMA. Delivering good-to-know extras about juicing! I promise to use it only to send you I Love Juicing. Want to make the *best* detox juice recipes? We've got a collection for you!